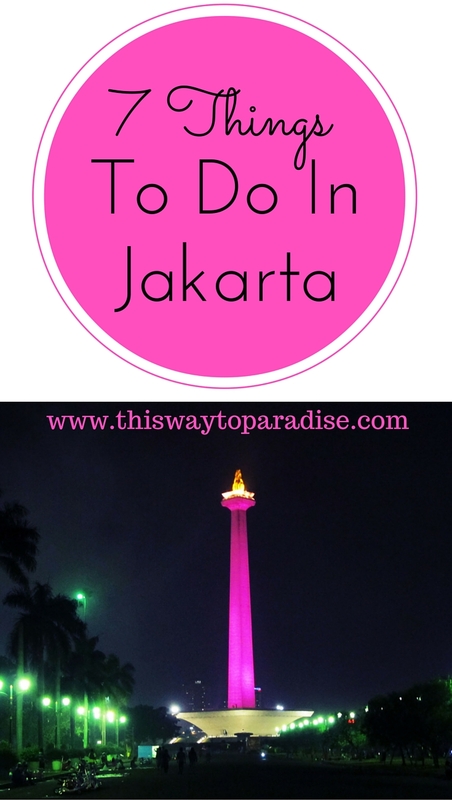 Home / 7 Interesting Things To Do In Jakarta. #5 Is The Best One! Jakarta, the capital of Indonesia, can be quite overwhelming at first. There are 28 million residents, and the energy can be very chaotic and confusing. However, Jakarta is very unique, and is definitely a place that’s worth exploring. 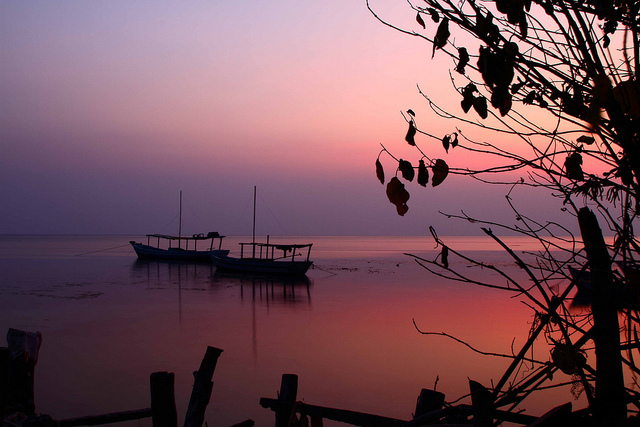 The best advice for Jakarta is to have your travel planned before you go to Jakarta. Book your hotel ahead of time. Research the things to do in Jakarta, and cut your time stuck in traffic by booking a hotel close to the attractions that you want to see. Here are some of my suggestions for some fun things to do in Jakarta, so you get to know this unusual city a little better. 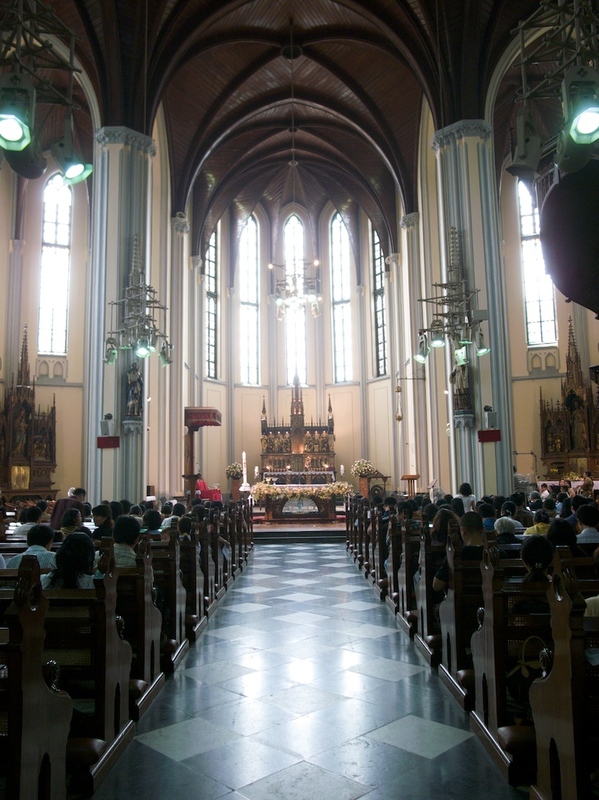 The Jakarta Cathedral was built in 1899 and is the oldest church in all of Southeast Asia. It is across the street from the Jakarta Istiqlal Mosque. The Gothic architecture is magnificent, and the church is a good example of religious tolerance in Indonesia, which is a Muslim country. The elaborate wayang puppets that are displayed here from Indonesia, China, Vietnam, India, Cambodia and Europe are magnificent and definitely worth seeing. 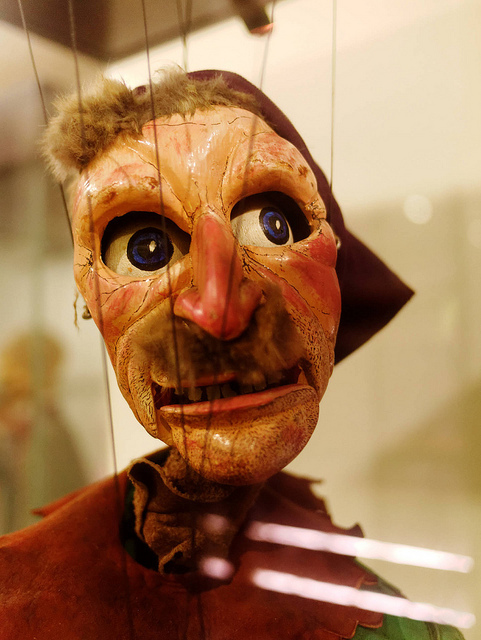 Museum Wayang shows a lot about the history and stories of the puppets, and there are also live performances. The museum is very cheap to enter at 5000IDR (0.50AUD). Jakarta is a wonderful place to try the best Indonesian food. Some of the local delicacies are fried bananas with chili, meat buns, fish cakes, spicy omelettes, fried duck, and durian pancakes. 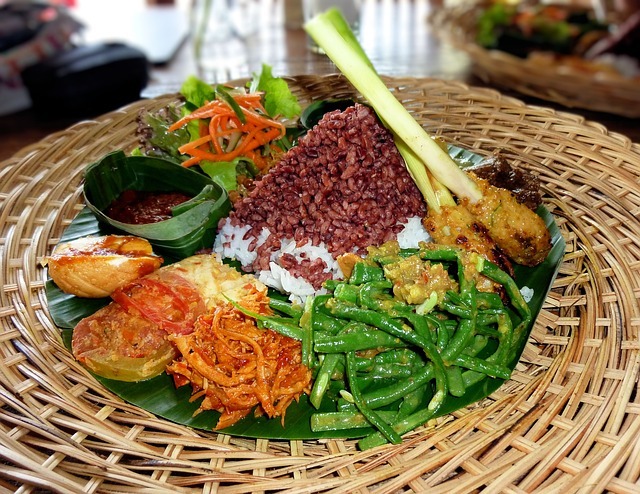 Nasi campur, shown above, is a great way to try small samples of the local dishes. There is always a scoop of rice on the plate with small portions of other dishes, which includes meats, vegetables, peanuts, eggs and fried-shrimp. 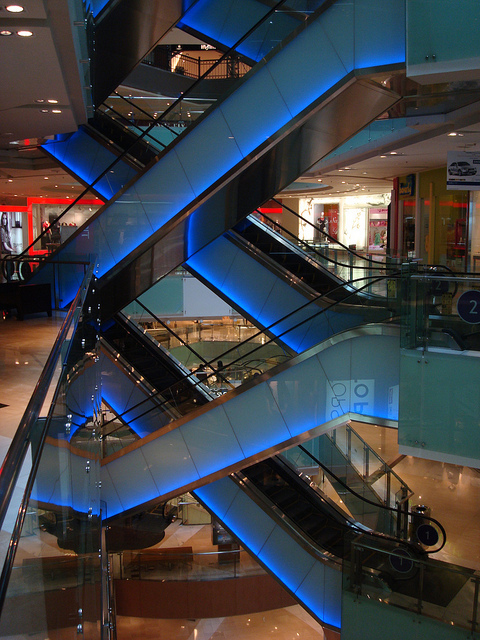 Grand Indonesia Shopping Town is one of South East Asia’s largest shopping centers. It is made up of the Grand Indonesia Shopping Mall, the BCA Tower, Kempinski Private Residences and Hotel Indonesia. It has everything you need in one place with the food, shopping, and entertainment all being of the highest quality. It is a shopaholic’s dream. With as chaotic as Jakarta can be, it is a good idea to also give yourself some tranquility while you are traveling there. The Thousand Islands are scattered throughout Jakarta Bay. They are reachable by boat within twenty minutes to three hours, depending upon which island you want to visit. There are beautiful beaches, snorkeling sites, interesting pieces of Dutch colonial history, bird watching spots, an old lighthouse that you can climb up, and a natural conservation area for turtles. I think this is one of the best things to do in Jakarta. 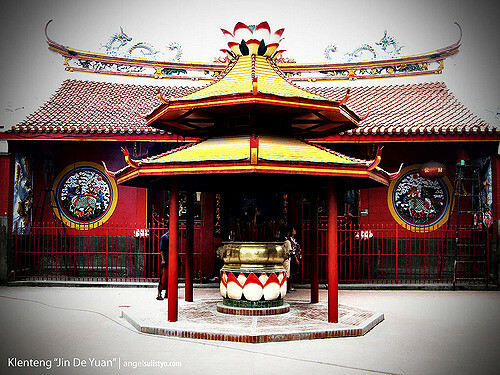 The inside of this important Buddhist temple is very tranquil with incense and candle smoke floating over Buddhist statues, antique bells and drums, and some interesting calligraphy. Jakarta Chinatown is a great place to have some delicious Chinese food, but be prepared for crowds. Skye Bar is a great spot to view Jakarta from. The ambience is good, and it’s trilling being 56 stories up in the air. It turns into a nightclub with loud techno music at night, so it’s not the place for a quiet dinner. Thanks for the share! Certainly not so touristy. Will check out these spots when I visit Jakarta next.